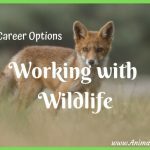 If you love animals and would like to spend your life working with them, there are many careers you may want to consider. Working with animals can be very rewarding but can also be heartbreaking at times. It takes patience and a calm, assertive personality to work with animals. You can learn to become a pet groomer at one of several grooming schools. This requires a lot of patience, but once you feel comfortable as a groomer, you may want to purchase your own grooming van. New ones can be expensive at between $60,000 and $80,000, but you may find a used one for much less. This can be a lucrative business. You’re providing a service and going to people’s homes to groom their dogs or cats, so you will charge more than the local shops. You’ll be getting 100% of the pay as opposed to getting 45% to 55% working for someone else. It’s important to consider the maintenance of keeping up a grooming van. Becoming an animal cop, also known as a humane officer or animal control officer, can be an exciting career. Most positions require some law enforcement training. As an animal cop, you’ll have some of the same law enforcement powers as a police officer. This type of work involves such tasks as investigating dog fighting, animal cruelty and neglect, picking up strays or capturing a wild animal. 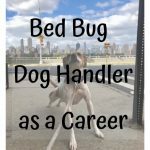 People skills are also necessary because there will be times when you’ll need to calm an angry pet owner or convince someone to relinquish their pet to you. Learning how to become an animal cop can help you get the job you want. 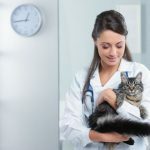 If you don’t want to spend seven to nine years in education to become a veterinarian, the next best thing is to become a veterinary technician. Technically, the training is a two-year program. A vet tech assists the veterinarian with surgeries, performs initial exams, takes blood and gives vaccinations as some of their tasks. A technician averages around $30,000/yr. 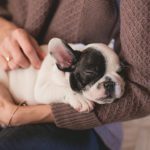 Training dogs for veterans with Post Traumatic Stress Disorder (PTSD) is unique in that the dogs must possess a certain perceptive calm temperament and the trainer must be able to recognize this in a dog. The trainer must then be able to train the dog to intervene when the veteran becomes anxious or has a panic attack. The dog may also be trained to do certain chores for a disabled veteran. One training facility for this kind of work is the PTSD Service Dog Trainer Academy. If you’d like to work with exotic animals, you might want to check out becoming a zookeeper or a director or habitat specialist for a zoo. There are different teaching programs you can choose from depending on what level of work with the animals you want to do. You could take a two- or four-year program and learn everything from nutrition to habitat design to handling and training exotic animals. One career for someone who loves horses and has a strong back is becoming a farrier. You can learn this career through a hands-on 12 week program at a farrier school. This is a career you can be self-employed at and make between $500 and $1000/day. It involves owning your equipment, driving out to farms and ranches and trimming horses’ hooves, shoeing them when necessary. There’s a lot involved in understanding a horse’s foot and knowing the right type of shoe to put on to correct or prevent problems. It can be back-breaking, but rewarding if you love horses and want to work for yourself. If pursuing a career with animals is your dream, then follow it. Many people get stuck in jobs they don’t like just because they need to make money. Be different. Get into a line of work you know you’ll be happy to get for each morning; one you’ll enjoy; one in which you’ll be able to touch lives and make a difference. 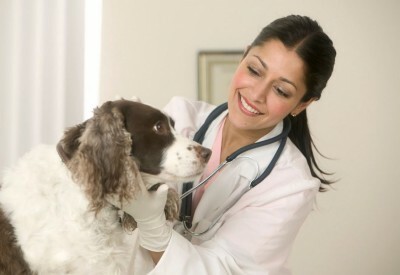 You might also like, “Does Your Pet Have Allergies Or An Illness? 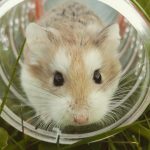 A QUESTION FOR YOU: Do you have a career working with animals? Or do you volunteer? I’d love to hear about it. I’m sure it is a great job. I thought about being a vet tech, but life veered a little to the right. 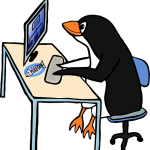 🙂 Thanks for taking the time to visit my blog! I hope you’ll come see us again. 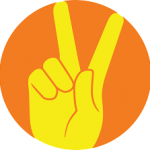 Well wordpress doesn’t have a like button so… here’s my like for you, for being a vet tech!